More Stuff White Midwesterners Like: Mules. You don't see them so much anymore, but back in the day every farm had a mule or three. However, our love of mule has endured here in the midwest. It's the official state animal in Missouri, the mascot for Central Missouri State University (or whatever in the hell they're callin' it these days) and the high school mascot in towns from Fairfield, Illinois to Bedford, Michigan to Poplar Bluff. Nowadays the Amtrak line from St. Louis to Kansas City is called the "Mule." And if you've never swallowed a Moscow Mule you're missing something. (Get your mind outta the gutter.) Just add vodka, lime juice and ginger Beer and serve it cold in a pewter mug. It's gooder'n hell, I'm telling ya. White Midwesterner of the Week: That hot guy on Mad Men. Oh sure, you thought that Don Draper guy on the teevee was a native of New York? Heck no that boy is from St. Louis, Missouri. He went to some fancy-pants high school in Ladue (where the money is) and even got an acting scholarship to go to Mizzou. (Brad Pitt went there too without an acting scholarship, but he seems to do OK.) But you know he's a White Midwesterner on account of the way he wears pleated khakis on the show, and I bet you a donut he's got a few pieces of Budweiser memorabilia at his house. You can take the boy outta St. Louis, but you can't take the St. Louis outta the boy. If you'd like to nominate someone for WM of the WK, email us. Now I consider the Chicken Dance to be an abomination - I'd rather be waterboarded. When I got married I specified no music at the afternoon reception because I hate that song with an unending passion. But the fact that it's a song often played by polka bands (and often at wedding receptions at VFW halls) qualifies it as being part of White Midwestern culture. Wow!!! I thought the chicken dance was a New England thing. Gather that. Please catch up! 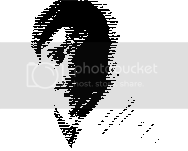 The last blog post in 2010? I was born n bred in Ohio (southern Ohio!) and have been moved to, of all places, Utah by my job! I really miss MWs! If you like sporting novelty sweaters, dipping everything in ranch dressing, smothering your home with sunflowers and white wicker, and eating top-notch dinners at Cracker Barrel, then you might be a White Midwesterner (or at the very least you should move to the Midwest as soon as possible). 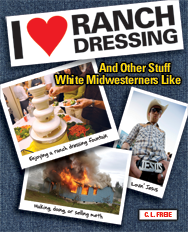 Chock full of things that White Midwesterners love the most, I ♥ Ranch Dressing reveals the quirky tastes and characteristics of our favorite heartland residents. With good-natured fun and plenty of hilarious "authentic" photos, this real-life encyclopedia of White Midwesterners will have you snorting with laughter whether you live in the Midwest or not! C.L. 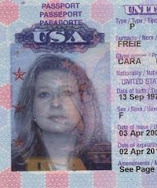 Freie was born and raised in Columbia, Missouri by two very sweet Iowa natives. Despite their best efforts, she became a lawyer and, more tragically, now a comedy writer. She lives in the gooey heart of the Midwest, Kansas City.